What new service could you offer that would generate referrals and more business? 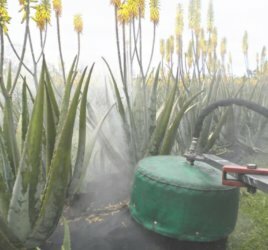 Consumers are preferring ‘green’, ‘eco’ and ‘organic’ and it’s no longer acceptable for much of the community to see chemicals being sprayed for weed control. The public is concerned about safety. Application of chemical weed killers, according to label, requires restriction of access to treated areas for a number of hours. Failure to restrict access can expose the public to ‘probable carcinogens’. Glyphosate negatively impacts soil biology. The most commonly used weed killers are Glyphosate based. Glyphosate is a patented antibiotic and chelator which has been shown to kill soil microbes, bind nutrients and favour pathogens. Weedkillers threaten habitat, ecosystem & pet health. Most commonly used weed killers have the potential to contaminate habitats of sensitive populations of endangered species such as frogs, bees and butterflies which are essential to healthy ecosystems. Stormwater becomes contaminated with herbicides applied to landscapes. Chemical weed killers translocate easily from paved surfaces, through soil profiles and contaminate ground waters, streams, creeks and estuaries. These problems have created the next great opportunity for differentiating your business and standing out from the crowd. Residential Consumers are favouring ‘eco’, organic and bee, child and pet-friendly products. Companies, councils and schools report to their stakeholders on their eco-initiatives. You can assist them to achieve their eco-outcomes. Offer organic Satusteam weed control from Weedtechnics. Add Satusteam™ to your tool kit offer as a new service. Weedtechnics has a range of machines to suit your needs. The new SW500E is versatile and easy to use. It plugs into water and power wherever you go; or can be used with a generator. The SW900 is a more serious workhorse. It can run all day with one or two technicians on 60m hoses. Use SatusteamTM weeding machines to kill weeds in cracks and crevices in driveways, carparks, along fence lines and in gardens. 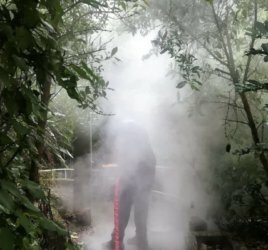 The machine can also clean and sanitise slippery paths, rubber surfaces, artificial grass, play equipment, as well as remove chewing gum and some graffiti. Sydney Inner West Council has had a SatusteamTM weeding program outside every school and pre-school in Marrickville for many years. 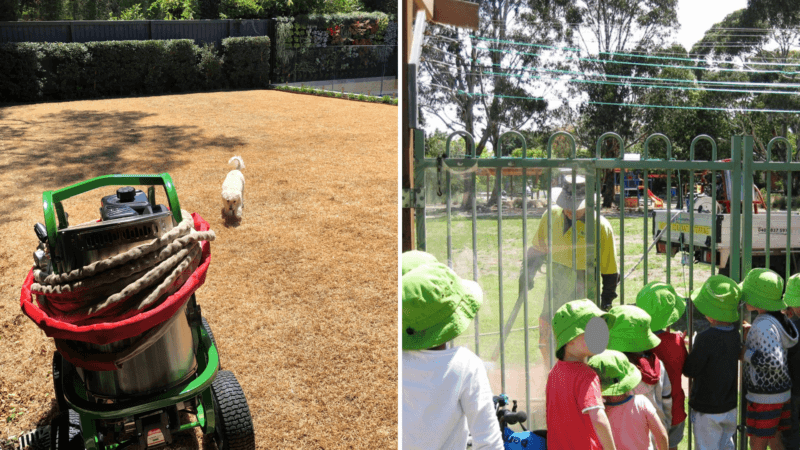 36 councils across Australia use Satusteam to weed and clean playgrounds and civic areas. Much of this work is contracted. Thanks to our team in Australia for this content.